t was then, the mother lifted her head. The tears streamed down her face..
As it filled her heart with grace. It was then she knew her son was right. He was in God's great army now. That he'd be kept from harm somehow. So, evildoers of the world beware. An army is on the way. Who left the towers that day..
Their commander has never been beaten. Well, the surface has just been scratched! 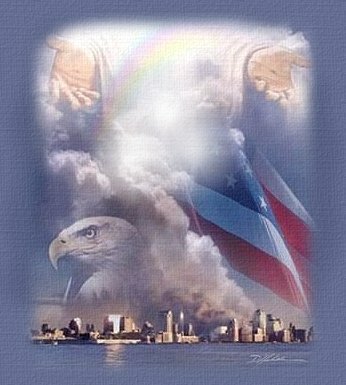 GOD BLESS AMERICA and the rest of the world as well !!!! !